French Tech Central is also the first public coworking space in the world! A place where 30 public services and administrations hold offices alternately with the objective to innovate in their support offers and to modernize the state. Entrepreneurs, do you want to save time on your administrative procedures? To discover grants and funding schemes? To break down barriers by understanding better the various regulations? Public services are committed alongside startups as real partners of competitiveness. Two formats to meet public services in Station F: every week, a thematic masterclass to better understand the subject covered; and daily individual appointments to state your problems and introduce your initiatives. Collective support and networking (clusters, thematic clubs, benchmarks), thanks to our territorial network in France and in 39 foreign countries. a radio waves exposure test and an identification of testing grounds and beta-tester “amateur radio, researchers …” : railways, subway station (if you are in the testing phase). A detailed information about the evolution of connectivity standards and the international regulatory framework regarding frequencies and numbers to anticipate the future of your activity. an orientation towards professional networks (Institutions, consular chambers, employers’ federations, associative networks...). a close interlocutor through its 48 regional embeddings. information to help you to identify the most relevant international events (CES, Web summit, IFA, Slush…). a better knowledge of investment opportunities in France. a support in the development of your activity in France (financial aids and subsidies, access to procurement contract, innovation funding, fundraising, external growth) and on the international stage. the possibility of financial support and getting in touch with partners, in France or abroad. The Direccte is the interlocutor of French companies and supports economic activity, the development of employment and employee skills. The French Customs are in charge of the collection of taxes due to the entry of the goods into the territory. Their unit ” advice to companies ” has for mission to help you to secure and to simplify your import/export procedures, fluidify your exchanges, lower your costs and support your competitiveness. the optimization of your flows : returns and repairs processing. 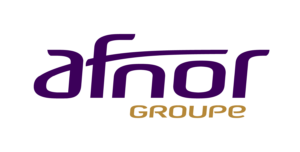 GENCI is the French national HighPerformance Computing organization. It allows researchers and industrialists to access supercomputers for their leading-edge works that require a more and more important computing power; the simulation approximates big data and Artificial Intelligence in the supercomputing. A 50 % subsidy from public authorities for this support that corresponds to your needs. Just do as the 900 companies that are already sensitized and the 50 that are being structured and supported! Join the SiMSEO program. The French National Institute of Geographical and forest Information is responsible for producing, maintaining and broadcasting geographical information in France. A support in the development of your startup, including guidance on your experiments. The Ile-de-France Region supportscompanies of Ile-de-France on several growth vectors. its economic development policies (support for poles of competitiveness, incubators, university laboratories…). The French National Institute of Industrial Property is a public body in charge of the recording and the delivery of industrial property titles. It also supports the economic development of companies by facilitating the protection and the valuation of their innovations. the management of intellectual property in your international development (trade shows, export...). Inria, the French National Institute for Research in Computer Science and Control, coordinates and develops links between public research and startups within French Tech Central. Inria Tech Talks: a program of meetings in the field of technologies with strong digital component and that results from public research. The role of Pôle Emploi is to support enterprises in their recruitments and job-seekers to find posts or to create their own company. It also provides job-seekers with an assistance in the creation of businesses. Radio France is the leading radio group in France with 7 broadcast channels and digital outputs (France Info, France Inter, France Culture, France Musique, France Bleu, Mouv, FIP). The UGAP is the only public and general purchasing station in France. an appreciation of the economic model regarding the rules of public accounting. The Urssaf Ile-de-France has for first mission to recover social contributions. your on-line accounts and digitised procedures. The Association for the Employment of Executives (Apec) supports startups in their recruitment, development and retention of their executive skills. 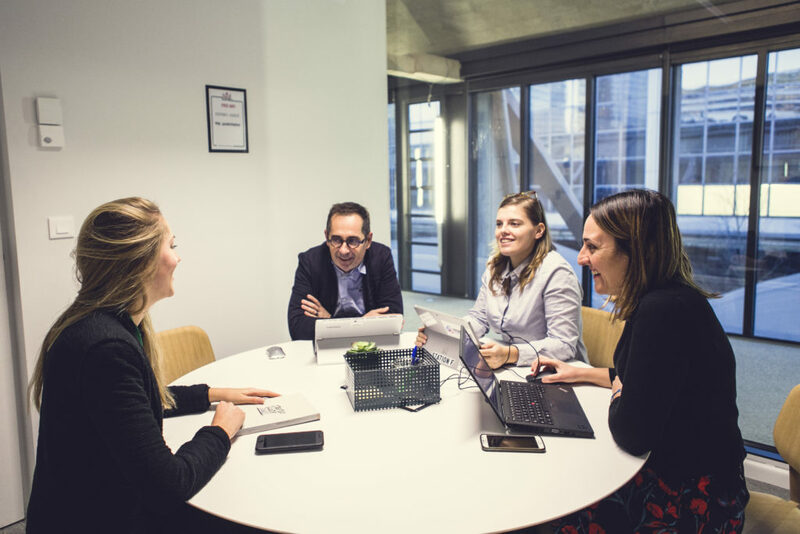 Personalized advice to analyse your needs and develop with you your sourcing and recruitment strategy (trainee, employee, freelance,…), our consultants welcome you in the French Tech Central area. Information to enable you to monitor and decode the latest HR developments, to help you improve your practices and share with peers. Advice dedicated to future entrepreneurs to identify their potential and transform their idea into a project tailored to them. Partnership opportunities, especially if you offer an innovative service, content or technology that can renew the candidate or recruiter experience and invent tomorrow’s networking in the executive skills market. Information on markets in France and abroad (within the BnF that is situated near French Tech Central). The Ministry of the Armed Forces, with the Defence Innovation Agency, joins French Tech Central, within Station F. This partnership is part of the Ministry of the Armed Forces’ SME Action Plan, and participates in the opening of the Ministry of the Armed Forces to start-ups, incubators and accelerators. The Defence Innovation Agency was created on 1 September 2018 by the Minister of Defence to bring together the Ministry’s innovation initiatives (whether upstream research or use and opportunity innovation). Reporting to the General Delegate for Armaments, its mission is to capture innovation and accelerate its deployment for the benefit of all end-users, whatever their field: operations management, equipment, support, operations, administration. It provides a single point of contact for any innovation project owner as well as new tools such as the Innovation Defense Lab, designed to accelerate the experimentation, prototyping and deployment of innovation. 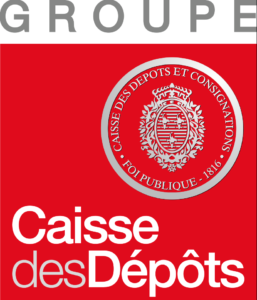 The French Deposit Office and its subsidiaries constitute a public group, a long-term investor in the service of general interest and the economic development of territories. Its mission has been reaffirmed by the Economic Modernisation Act of August 4th, 2008. Recognized for its expertise in management of mandates, the Group concentrates its action on four strategic transitions on the France’s long-term development: territorial, ecological, energy, digital, demographic and social transitions. the cases concerned by specific technologies : blockchain, IA, Big Data, Cloud Computing and the stakes linked to it. The French Police Prefecture is particularly responsible for the safety and the guarantee of the liberties of all individuals that live or visit Paris and Ile-de-France. It gives you information on residence permits for foreign entrepreneurs. The French Tech Visa aims at attracting international talents of Tech and facilitating their welcome in France, whether they are entrepreneurs, employees or investors. The DRIEE is a regional service of the Ministry of the ecological and sustainable Transition. the access to public procurement for projects with an environmental dimension. The DRFIP is particularly responsible for the processing, the calculation and the collection of business taxes. the fiscal devices in favour of your development: fiscal rescript, tax credits (innovation tax credit, research tax credit, ” Young innovative enterprise “status...). The Prefecture of Paris and Ile-de-France coordinates the presence of public regional services and the public policies that are implemented in the region. an actor that favors the relation between administrations and entrepreneurs, in particular by the development of a chatbot on administrative and fiscal procedures for entrepreneurs. The objective is to bring artificial intelligence and automation in their exchanges.